This industry sector provides us with the basics of the civilized world. Water, gas, or electricity supplies are some of the things that we can hardly conceive our lives without. Robotic process automation is not there yet. Nevertheless, we wish to argue that utilities and RPA go great together. Why? In the first place, it is worth mentioning the case of an energy company in the UK, presented in a paper from The Outsourcing Unit Working Research Paper Series. Back office robots have processed over 1 million transactions per month, which led to a 200% ROI the year after implementation. So confidence in the feasibility and thus the goodness of the match is justified by past experience. What’s next? Let us now list 7 aspects that further justify, even call for, your future choice to implement RPA in your utilities company. The damages of human error interfering in capacity metering, for instance, could be higher than you are willing to pay, because customer satisfaction is more important than ever in these times of transformation that we experience in Australia. This is why it is wise to be open to automations. Metering, billing and settlements, consumption management, customer records management, complaints resolution, or customer transfer are some just a few examples of the repetitive processes that could be better, faster and more efficiently performed by software robots. But of course, not everything goes! The intrinsic need for creativity and divergent thinking would keep processes such as strategy advancement and control outside the scope of automation (for now at least). Electricity, water or gas are services that require a significant amount of highly specialized staff members. According to the Australian Utility Magazine, they must be able to deliver adaptable choices to present consumers who would never let go of modern comfort, while also protecting the environment, or to handle the Australian network enlargement. But many of the staff are approaching retirement! In fact, utilities is among the sectors most heavily affected by the change in the global labour market due to the aging population. As we’ve argued before, RPA is one of the key options to respond to it. Therefore RPA and the utilities industry make a good match. “So what? !”, you might say. “There are plenty of other upgrade options, why choose RPA?”. Robotic process automation fares better than other options for two very simple reasons: time and money. The societal impact of utilities is very broad, hence innovative structural changes require an extensive approval agenda. Which, of course, takes a lot of time. Such upgrades are also quite complex and costly, so innovation within the current infrastructure appears to be a superior option. But this is precisely the kind of upgrade represented by RPA. Moreover, a benefit of RPA applicable across the industries, namely, the possibility to perform the activities of multiple FTEs, contributes to its cost savviness. Reliance on robots to perform the repetitive processes (like those mentioned in (1) above) can lead to a significant cutback in costs. One and the same bot can be used to perform several low-level tasks, bots do not require days off, paid holidays, and never go on strike, their performance is not subject to stress or fatigue - all these are significant contributors to cost reductions. And yes, we certainly need this, given the noticeable increase in electricity tariff costs over the past decade in Australia, due to growing capital expenditure. 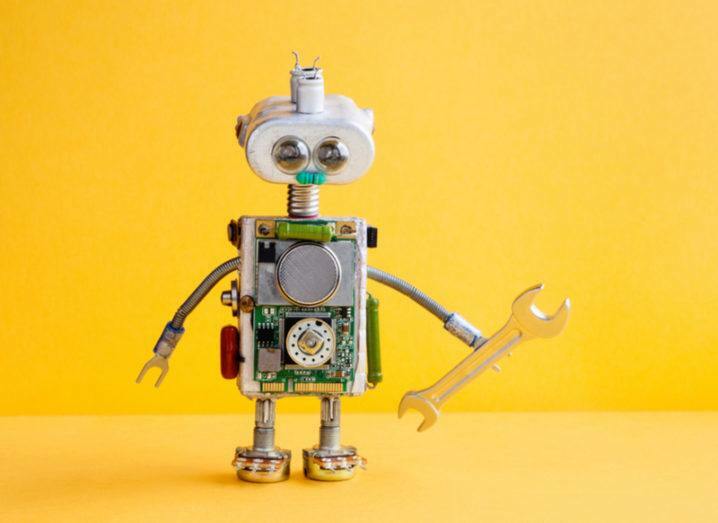 According to the report RPA and the Utilities Sector: Value, Vendors and Services, automation is versatile enough to match the vertical-specific requirements which are likely to vary across the sector. RPA can be implemented so as to provide the best fit for the particular infrastructure of each utility. You could thus save a lot of capital that you would otherwise need to invest in training new staff. (This also supports (4) above). In the utilities industry, joint ventures can often be a viable solution for risk mitigation, or for better handling the nightmare of regulatory compliance - “together we’re invincible”, as the song goes. RPA can help to alleviate the headache of IT people when faced with the hell of harmonizing radically different systems at work in different companies. UiPath argues that RPA facilitates productive interactions by bridging disparate platforms, without the need to reshape them. In other words, RPA provides companies with a means to operationalize, and take advantage of, “unity in diversity” in the utilities industry. Though with promising prospects, RPA is still relatively new in the energy sector. Wouldn’t you want to be a road-opener in what concerns technological development in utilities? There is plenty of room for innovation since, up to now, utilities and automation didn’t have much in common. It is important to stress that ‘having things in common’ should not be understood in terms of “either human employees, or software robots”. Rather, the digitization developer’s job will be to promote constructive collaboration. This human to robot side by side work is very much in line with what the Forrester report forecasts for the labour market evolution in the next decade. So you’d better act fast, if you enjoy the status of a pioneer! The 7 reasons that we discussed above substantiate the perspective of digitization as a “pipeline for efficiency” in the energy sector and underline why RPA and the utilities industry make a good match. Innovation, capital, quality time, advantageous joint ventures - a plethora of gains from the use of automation for water, electricity, or gas companies.